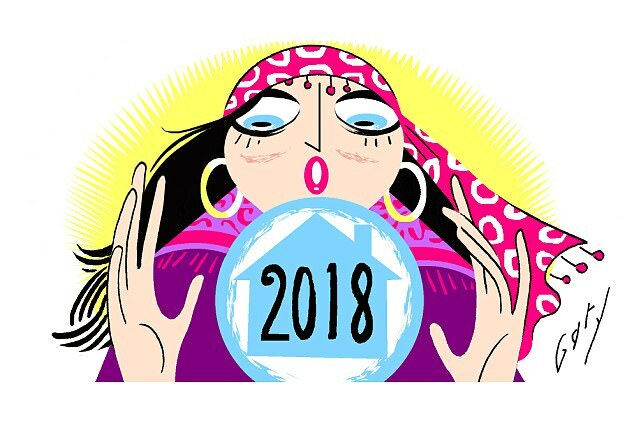 Judging how the housing market will move is as much of a New Year tradition as sore heads and ambitious, life-changing resolutions. Latest data from the Halifax bank suggests house prices rose 3.9 per cent in 2017 — slightly higher than even the most optimistic market analysts predicted a year ago. So what do they expect for 2018? Pundits are almost all agreed that, despite economic and political uncertainty, most of us are going to see small price rises. Rightmove predicts an average one per cent rise across the UK, with some types of home doing better: smaller apartments and houses may rise three per cent. 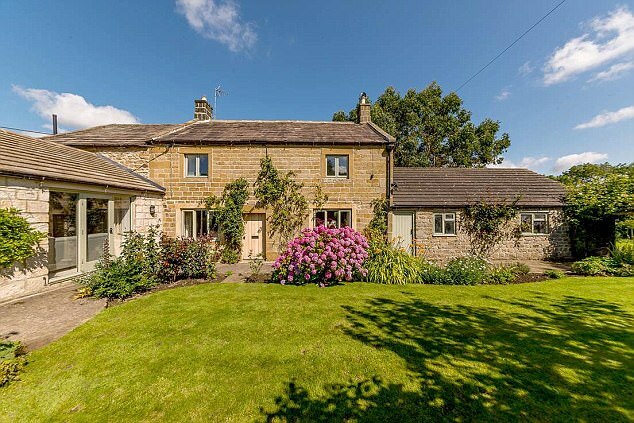 Northern England is tipped to see bigger increases than the South, as buy-to-let investors snap up lower cost properties. The numbers moving home next year should be slightly up on the predicted 1.1million in 2017. Even so, that remains more than 40 per cent below the total a decade ago. The only place where the market is set to worsen significantly next year is London. Savills says prices across the capital will drop two per cent next year and will then stagnate in 2019. Previously, auctions have been associated only with cheap or problem properties, but that is set to change. Posh estate agency Fine & Country is introducing auctions for all sellers in 2018, while at least two new online auction sites are expected to open for business. ‘It’s no longer reserved for homes at the bottom end of the market,’ says Fine & Country chief executive David Lindley. 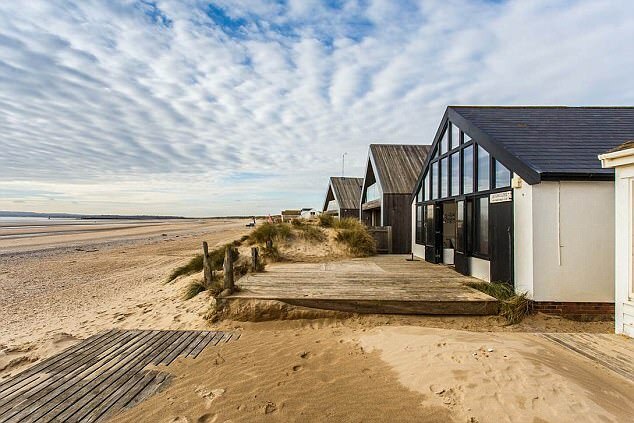 As tax breaks for traditional buy-to-let investors have been scaled back by the Government in recent years, so more investors have switched to holiday rentals. Airbnb says the typical UK home owner advertising on its site earns around £3,000 a year hosting for an average of 36 nights. 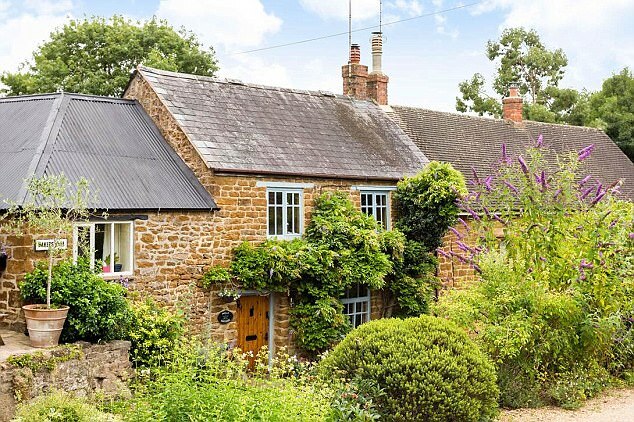 The most popular holiday let locations remain the South-West, the Cotswolds, Scotland and London. One agency, Nested, offers a guaranteed sale of a property within 90 days and pays 95 to 98 per cent of the valuation price even if it hasn’t found a buyer. It operates in London and is set to expand to Bristol, Oxford, Cambridge and Manchester. With the Bank of England base rate now moving upwards, if slowly, expect borrowers to hedge their bets by remortgaging to a more cautious deal. Moving house now costs an average £11,624 across the UK, says Lloyds Bank, and over £32,000 in London. So staying put and making improvements could be sensible. The Nationwide Building Society says loft and ground floor extensions are most popular and add up to 20 per cent if a bedroom is added.